IQS Directory provides an extensive list of sheet metal stamping manufacturers and suppliers. Utilize our website to review and source sheet metal stamping manufactures with our easy-to-use features which allow you to locate sheet metal stamping companies that will design, engineer, and manufacturer sheet metal stamping for your exact specifications. Our request for quote forms make it easy to connect with leading sheet metal stamping manufacturers. View company profiles, website links, locations, phone number, product videos, customer reviews, product specific news articles and other production information. We are a leading manufacturer directory who will connect you with the right manufacturers whether you are looking for sheet metal pressing, deep drawn stampings, or sheet metal clips. We use extensive quality monitoring and control measures to ensure our products are nothing but the best. Our sheet metal stamping procedures use the highest technology in the industry. We work hard to supply our customers with what they need to succeed! Contact us today by phone or email, or visit our website for more info! The highly dedicated staff at American Industrial Company enables us to provide to supply chains for worldwide companies, which means we are dependable. At American Industrial Company, we have established ourselves as a leader for short run custom stampings like sheet metal stampings and other specific product outcomes. Call us today to see how we can help you! 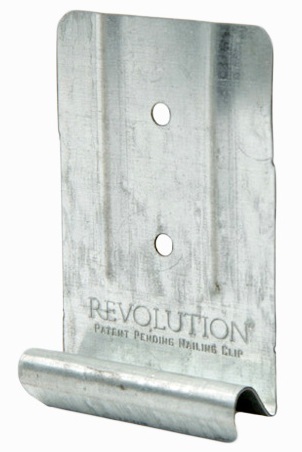 From sheet metal stamping to metal brackets, G&M Mfg. Corp. has the solution for your metal stamping need. We have almost 60 years of expertise and knowledge in our industry and we are happy to sure that with each and every one of our customers. We strive to not only provide premium products but couple it with outstanding customer service. Check out our website for more information or give us a call for more information. We received the Inc. 500 award for being one of the fastest growing companies in the United States, yet our company still serves our three original customers. We are a premier stamping company producing precision components such as spring clips for construction, consumer, appliance, hardware and automotive markets. For over half a century, Kenmode has built a reputation for producing complex high-precision, custom metal stampings and assemblies with the highest efficiency and quality. The Kenmode engineering and design team works to simplify and streamline the metal stamping process for customers to save both time and expense. Kenmode facilities employ the most advanced technology for design, production, inspection, packaging, and shipping. At Pacific West America, Inc. we provide custom metal stamping, CNC machining, printed circuit boards, and membrane switches. Utilizing state of the art machinery, we offer precision metal fabrication and sheet metal fabrication. The company consists of two state-of-the-art plants, staffed with highly trained engineers and experts prepared to handle all of your projects. For unparalleled service and design, contact us today! Sheet metal stamping is a metal forming process in which flat stock sheet metal or metal coils are precisely shaped into metal parts in a stamping press. Sheet metal is simply metal that has been formed into flat, thin pieces. It is one of the fundamental forms of metal used in metal stamping processes and can be either flat pieces or a coiled strip. Coiled strips of sheet metal are formed by running a continuous metal sheet through a roll slitter. Sheet metal stamping processes produce large volumes of products and parts with uniform precision at high speeds and low cost. Able to fabricate a number of two-dimensional and three-dimensional parts sheet metal stampings can be parts such as metal clips, spring clips, metal brackets, hub caps, trim, engine mounts, connectors and terminal leadframes. Additional parts formed during sheet metal stamping processes include heater components, pins and oxygen sensors, valves, locks, gears, and household fixtures. Sheet metal stamping companies are able to form a wide range of metal parts, making sheet metal stamping processes essential in industries such as appliance, hardware, aerospace, commercial, wastewater, automotive, electronics, textile, pharmaceutical, HVAC, plumbing and fire prevention. Also, sheet metal stamping services are cost-effective because the process is able to produce material-intensive parts at production rates that are much greater than what is possible using other traditional methods. During sheeting metal stamping press operation, the slide, or ram, maintains movement to and from a motionless table called a press bed. 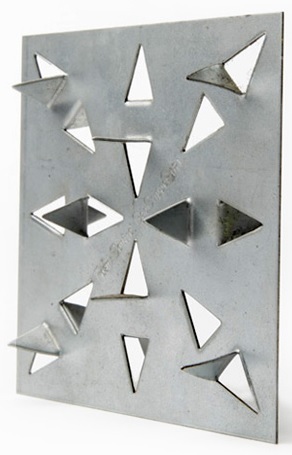 The die, a press tool consisting of a specially designed cavity, shapes metal parts from the inserted sheet metal. The upper component of the die connects to the press slide, and the lower component connects to the press bed. A die component called the punch performs the necessary shaping operation by pushing the sheet metal through the die. After the metal stampings are formed, they are typically subjected to one or more secondary processes. Sheet metal stampings manufacturers use mechanical and hydraulic presses, both of which are available in a wide variety of sizes, tonnage capacities, stroke lengths and operating speeds. Mechanical presses produce energy in the flywheel, which is then transferred to the crankshaft, electric shaft or eccentric gear. Gap frames are a type of mechanical press often utilized in applications where the stock is fed by hand; straight frames are ideal for progressive die and transfer die applications. In hydraulic presses, a controlled force is actuated by hydraulic pressure, which is used to move one or more rams in a preset sequence. Hydraulic presses-which have a variety of types of frames, including C-frames, straight sides, H-frames and four-column, have the ability to deliver full power at any point in the stroke. These presses are ideal for deep drawing, short runs, precision metal stampings, lower-speed high-tonnage blanking with long feed lengths and work requiring repeatable pressure rather than repeatable depth of stroke. Sheet Metal Stamping - Talan Products Inc.